Most people think of book deals as just that: a author gets paid by a publisher to publish his/her book. But it is a little more complicated than that. The book deal is a negotiation that includes, not just how much the author will get paid, but also what “subsidiary rights” will be granted to the publisher for exploitation. There are numerous revenue generating opportunities when you write a book. They include: right to license in the English Language in the UK and other English speaking countries, translation rights, audio rights, e-book rights, sale of abridgements, magazine excerpts, movie/tv/performance rights, merchandise spin-off rights, and many more. All book deals include negotiations of which of these sub-rights are being granted to the publisher and what will be the revenue split between publisher and author. Today we will talk about territory rights. These are important deal points and are always negotiated along with advances and royalties. These rights are typically the right to sell a license to a foreign publisher to publish in another country or another language. Sometimes publishers merely export the existing book and have it distributed in foreign markets. No licensing rights are involved in this situation, but there is still an opportunity to negotiate the royalty on books for export. 1) North American English (which includes US, Canada, and usually The Philippines). I’m not sure why the Philippines usually gets thrown in, but it almost always does. 2) English language rights in the remainder of the world, which includes UK, Commonwealth countries or former Commonwealth Countries (Australia, New Zealand, South Africa, sometimes India, etc). 3) Translation rights. Obviously all languages other than English. One of my clients has books translated into 29 languages, some of them he has never heard of. Publishers usually try to negotiate “world rights”. This is the right to publish or license the publication of books throughout the world. Publishers will usually offer the author 50% split on the income from these rights. That is a good deal for the publisher, but not such a good deal for authors. The work involved in selling these rights is minimal. The income is substantial. If I am negotiating with the publisher, and we have determined to sell them world rights, I try to get the percentages up to 75-80% for the author. 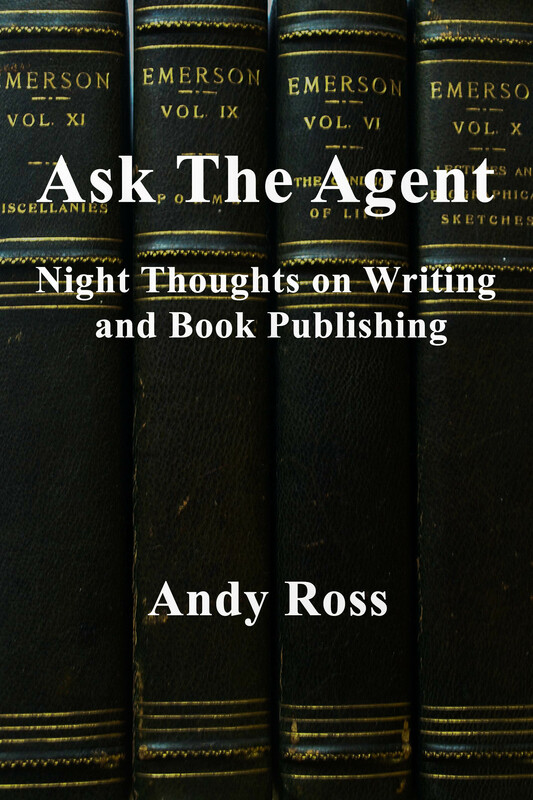 Usually it is more advantageous to reserve as many world rights as possible for the author and have the author (or his agent) sell them himself. In this situation, the author gives the right to the publisher only to publish in North America. The remainder of the rights are retained and sold by the author throughout the world with no split going to the US publisher. As in all aspects of the book deal, the ability to hang on to the foreign rights is dependent on how much leverage you have in negotiation. If you have multiple suitors or are conducting an auction, you can simply make the rule that the only rights being offered are for North America. If you only have a single offer, you may not have a strong say in the matter. Also a publisher may make an offer so generous that it is worth giving them world rights in exchange. And frequently, because of the subject of the book, world rights might be insignificant, and should not play a critical factor in the book deal. This isn’t such a great deal. The author ends up with 36% of the income gained from the sale of the rights. And there will also be a substantial amount withheld for taxes from the foreign government. Another disadvantage is that the income that is due the author by the US publisher will not be paid upon receipt but will be deducted from your advance. You will not see this income (if ever) until far down the road. Now let’s look at the same situation when you retain your rights. As an agent, when I negotiate retention of these rights, I receive a slightly higher commission of 20%. The reason for that is that I will have to split my commission with a foreign agent. Most agents do the same, although the amount varies. Definitely a much sweeter deal for the author. Don’t forget, you still have the tax withholding to a foreign government. But these tax payments will be credits against your US taxes. So it should be a wash. The other advantage in this situation is that the money will come to you up-front and not be deducted from advances. As we said in a previous blog entry, it is always better to get money sooner rather than later. There are some other advantages and disadvantages to these respective deals. The advantage of selling world rights to the publisher is simplicity. But also it is possible that the publisher has resources and connections that are not available to you. Perhaps you can make an effort to sell the rights yourself. If unsuccessful, you can always turn them over to the publisher. But the opposite is also true. It is possible that a small publisher doesn’t have resources to sell the book. And won’t devote the resources that they have to aggressively sell the rights. With a large publisher that has offices world-wide, they might make an inside deal with one of their own subsidiaries with an advance below what the market would offer. Regardless of who controls the territorial rights, this is an important part of the book deal and potentially a very lucrative source of income for the author.